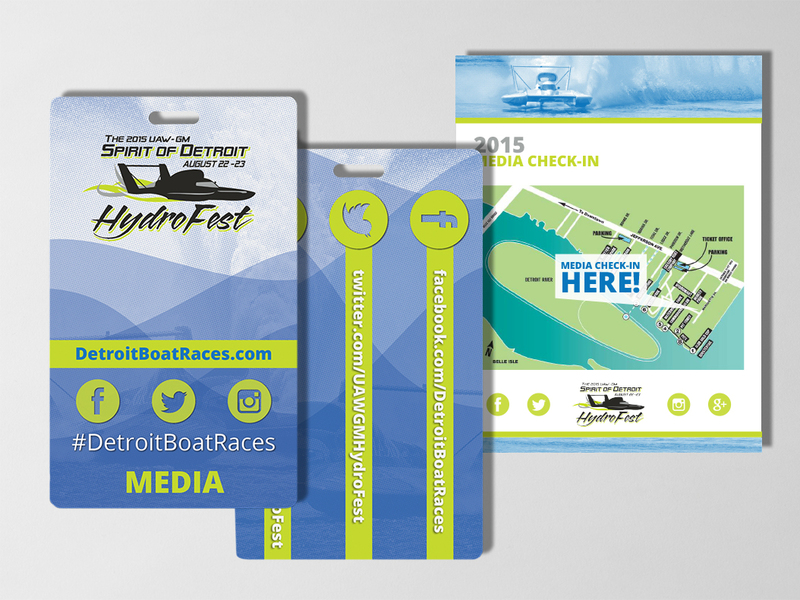 The APBA Detroit Gold Cup races (rebranded as the Spirit of Detroit HydroFest in 2015) is a legacy event that has been held on the Detroit River for over 100 years. the midnight oil group worked on the event for three consecutive years, providing social media, public + media relations, event consulting, media buying and graphic design services. the midnight oil group garnered hundreds of press hits, both locally and nationally, for the Detroit Boat Races. We partnered with media before, during and after the event to pitch creative angles and find new ways to highlight this longstanding Detroit tradition. the midnight oil group processed, approved and distributed all media credentials for the event. We designed a comprehensive media kit to hand out with registration that included all press releases, driver roster, schedule of events, fact sheets, photography locations, a course map and event highlights. 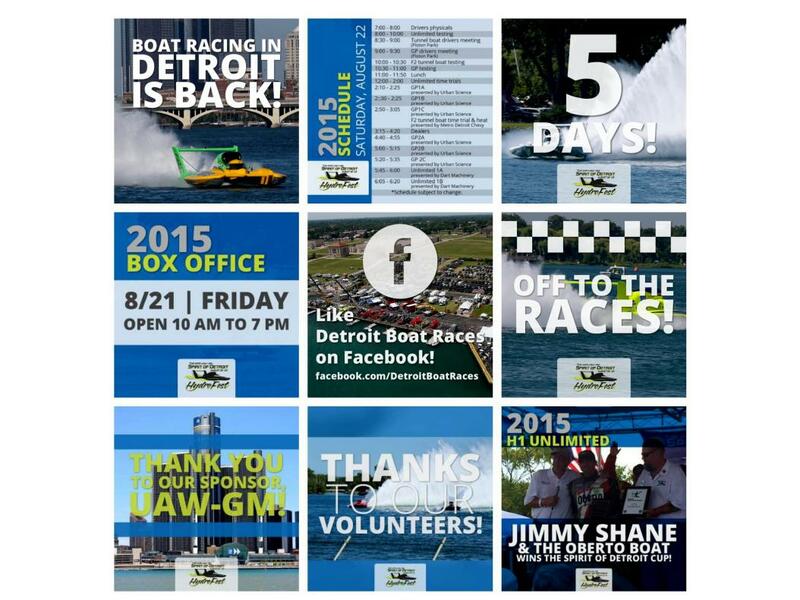 After two years operating under one identity, we were hired and tasked with rebooting all of the Detroit Boat Race’s social media in 2016. Because the evolution of the brand was unclear at the time, we had to preserve the previous social media followers we had (essentially putting those accounts on hold) and begin anew under a new name. This presented a challenge insofar as we had to build our followers from zero, but it was an opportunity to get creative with a new visual brand. We set up and managed Facebook, Twitter, Google+ and Instagram accounts that connected with existing race fans and engaged new followers to the sport. 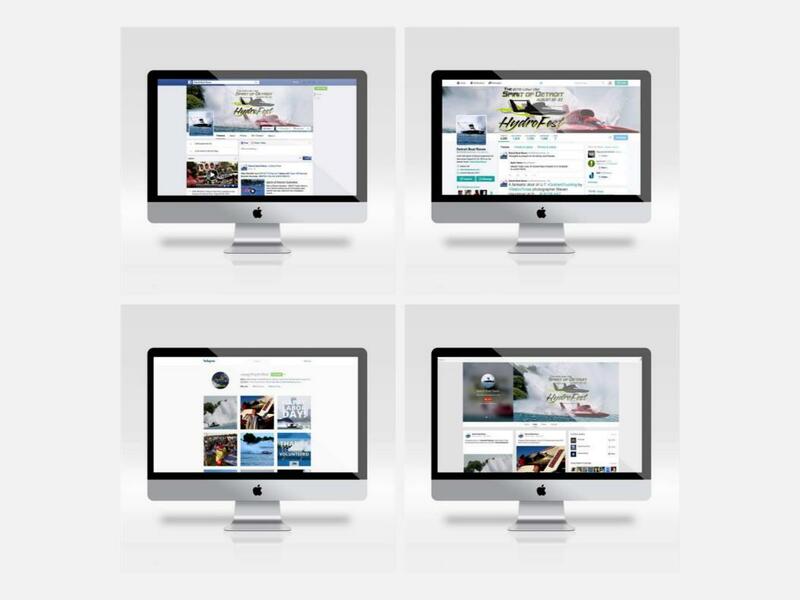 We consistently created engaging, custom content to get people excited for the races; through social media, we were able to promote ticket sales, host contests, profile drivers, highlight event sponsors and vendors, and keep race fans up-to-date during race weekend. 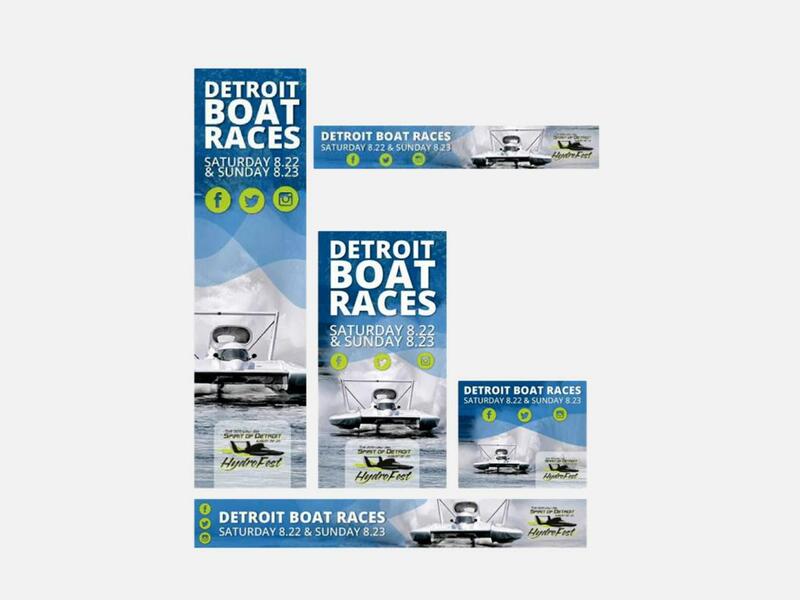 In order to engage and grow our social media fan base, as well as collect email addresses, we conducted social media contesting on behalf of the Detroit Boat Races. We designed custom graphics as well as coordinated winner notification and prize pickup. The non-winners were also offered a discount code for tickets after the contest’s conclusion. We designed several digital banner ads to be used on WDIV’s top-rated web platform, ClickonDetroit.com, as part of our advertising plan. 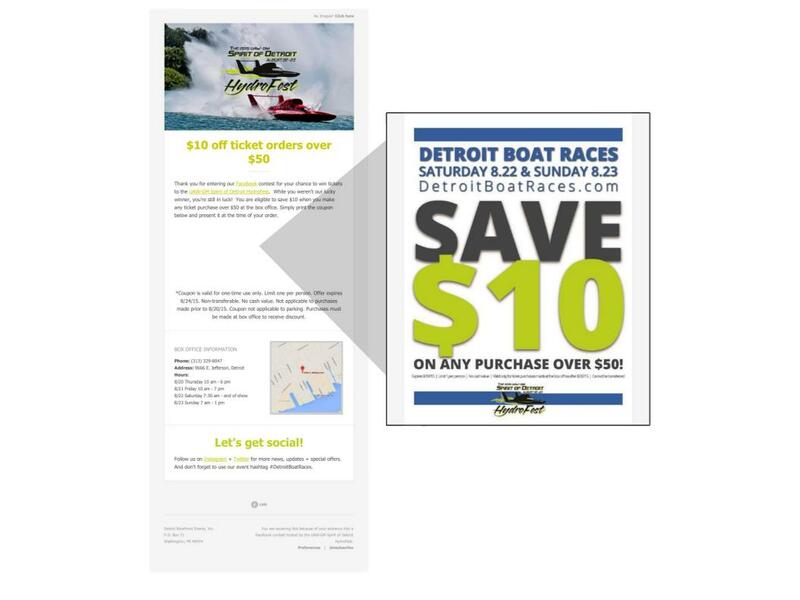 These display ads drove traffic to DetroitBoatRaces.com in the weeks leading up to the event. Prior to the event, we distributed a number of sales-focused email blasts to drive traffic to the event’s website and boost ticket sales. 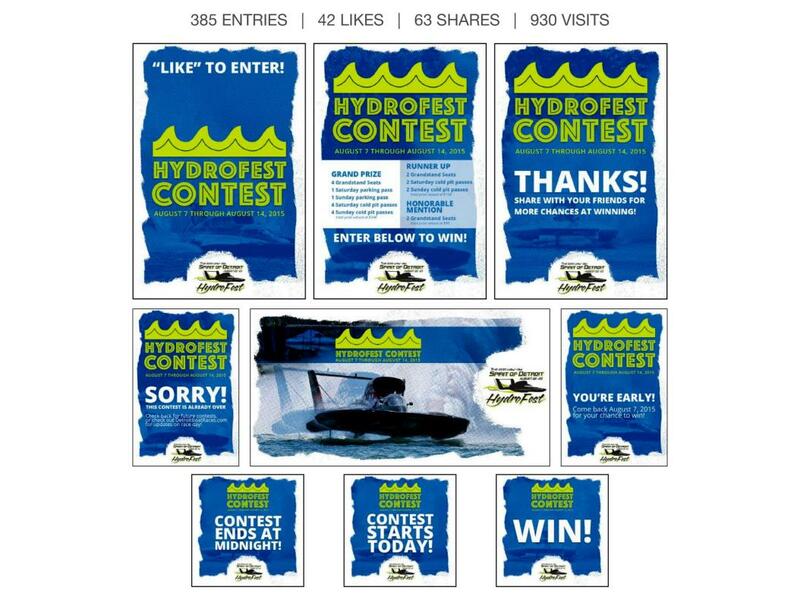 We grew our email list through social media contests as well as third-party cross promotions.